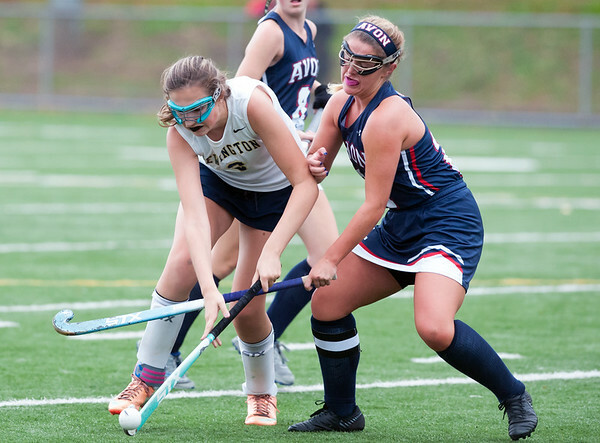 NEWINGTON - Throughout the season the Newington field hockey team has been searching for an offensive spark. On senior night against Windsor on Oct. 9, the Indians got it from Kelly Iskra as the senior scored a pair of goals. It was the product of an offensive change for Newington that moved Iskra from defense to offense. With just four goals over their first six games, Indians head coach Victoria Grubin knew the 1-4-1 record suggested a change was needed and she made the switch of Iskra from her normal position on defense up to forward to give the team a fourth option on the offensive attack. The change moved the Newington lineup into a 4-3-3 formation as opposed to the 3-3-4 it was running before the Windsor game. Instead of running four defenders, the Indians now have the majority of their players on the offensive end of the field. While on the surface it would indicate the Indians defense should be affected by the change, that isn’t the case, it’s rather more responsibility on the shoulders of Newington’s midfielders, who are now more crucial than in the previous formation. While Newington defeated Windsor 3-0, the Indians haven’t scored in the two games since against Conard and Avon. Still, Grubin believes the scoring is only a matter of time and has already noticed a positive impact on the team. With a 2-6-1 record on the season, a boost in offensive production down the stretch would be huge if the Indians want to finish their season strong. Posted in Newington Town Crier, Newington on Tuesday, 16 October 2018 20:36. Updated: Tuesday, 16 October 2018 21:30.